Rafael Nadal has confirmed the ankle operation that forced his withdrawal from the ATP Finals in London went well. Nadal's season came to a premature end on Monday when he announced he would not feature at the O2 Arena, his place going to John Isner. Abdominal problems had seen Nadal pull out of the Paris Masters last week and while they continued to hinder him, the Spaniard also revealed he needed an operation to remove a "free body" from his ankle. 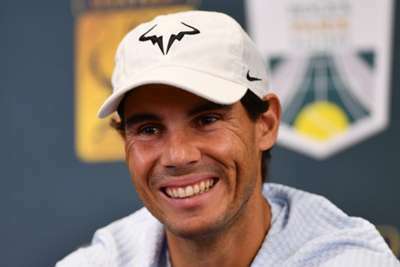 Nadal – who has not featured on the ATP Tour since retiring ahead of his semi-final with Juan Martin del Potro at the US Open in September – posted an update to Twitter on Tuesday, confirming he had returned following procedure. However, he was forced to delay an exhibition match in Mallorca to help those affected by the devastating floods in October. "Hello everyone, thank you for the messages I received," he posted. "The ankle surgery went well and from home I am informing you that we postpone the exhibition party planned for the victims in Llevant de Mallorca."